The international Smart Systems master's programme is one of the longest established study programmes at Furtwangen University. The programme was first launched as an international Microsystems Engineering programme in summer semester 2000 and in winter semester 2011/2012 was renamed Smart Systems. Right from the start, the programme has fulfilled all Bologna reform conditions and is fully accredited. Smart systems are devices which make autonomous decisions using information collected through sensors and relay the information using an appropriate actuator. Security aspects, reliability, miniaturization, energy consumption and intelligent data processing, all play a decisive role. To find appropriate solutions, the smart system and its environment have to be considered as a whole (systems strategy). Examples of the first smart systems developed are those used in plant maintenance systems, intelligent implants in medical technology and in the intelligent reaction to sensor data, for example in automatic procedures in the automotive sector. The Smart Systems degree programme equips you with the knowledge and skills required in this interdisciplinary field bringing these together in a systematic approach. To successfully plan, design, simulate, program, produce, test and maintain smart systems, a solid grounding is essential in several of the following areas: control engineering, simulation, microelectronics, microsystems technology, sensors and actuators, optical electronics and encryption. Successful solutions to problems result from the connection of the various disciplines, each of which has its own procedural strategies. Close involvement with R&D work means students can not only see and take future developments into consideration, but can actually shape them themselves. This 3-semester postgraduate course teaches cutting-edge specialist knowledge with a strongly international outlook. The programme is supported with outstanding labs (clean rooms). 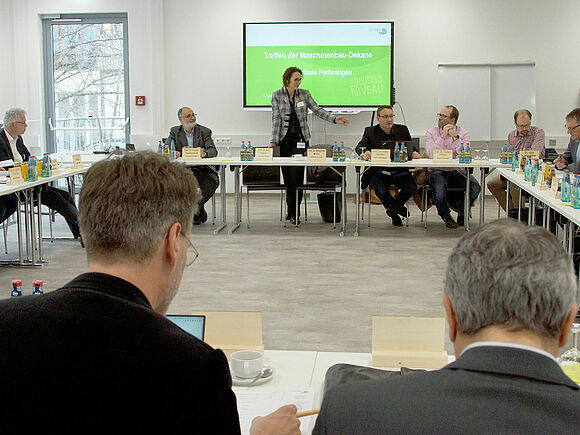 In the area of Microsystems Engineering, the programme offers the possibility to take a doctorate through our cooperative PhD programme with the University of Freiburg.